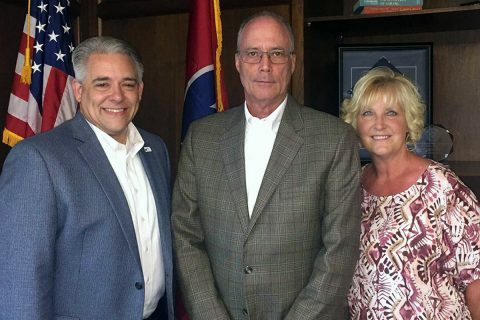 Clarksville, TN – The Clarksville Area Chamber of Commerce is pleased to announce the addition of Phil Harpel to the Military and Government Relations position. A lifelong resident of Clarksville-Montgomery County, Harpel has served in several roles supporting the members of our armed forces. (L-R) Chamber Board Chairman, Jay Albertia; Military and Government Relations, Phil Harpel; Chamber Executive Director, Melinda Shepard. Previous experience includes acting as the Board Chairman for Soldiers and Families Embraced (SAFE) as well as, Board President and Treasurer for the Association of the United States Army (AUSA). Harpel currently sits on the Board of AUSA and also serves as the Community Action Agency Board Chairman. Harpel’s distinguished honors include the Department of the Army Public Service Award, Commanders Award for Public Service, 2010 Champion of Fort Campbell and he is an honorary member of 502nd Infantry Regiment, 327th Infantry Regiment and the 187th Infantry Regiment. Through prior experience as a member of the Chamber Board of Directors, Harpel is familiar with the work of the organization and the mission of the Military & Government Relations position. His past professional work has included 17 years as VP and Community Market President for Bank of America, five years as the Chief of Administration for Montgomery County, and most recently as the AVP and Senior Community Banking Officer for U.S. Bank. He is a graduate of Clarksville High School, Baker University and Austin Peay State University. Harpel is also a graduate of Leadership CMCSS, Leadership Clarksville and Leadership Middle Tennessee. 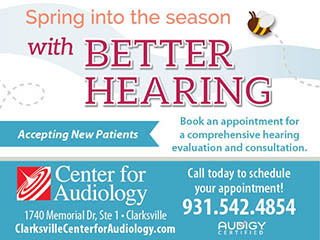 Established in 1905, the mission of the Clarksville Area Chamber of Commerce shall be to represent the interests of the business community and its membership by advancing community development, promoting the business and economic environment, and improving the welfare of the community by enhancing the quality of life in the region. The Chamber along with the Industrial Development Board and the Tourist Commission (now acting as Visit Clarksville) are part of the larger umbrella organization, the Economic Development Council.